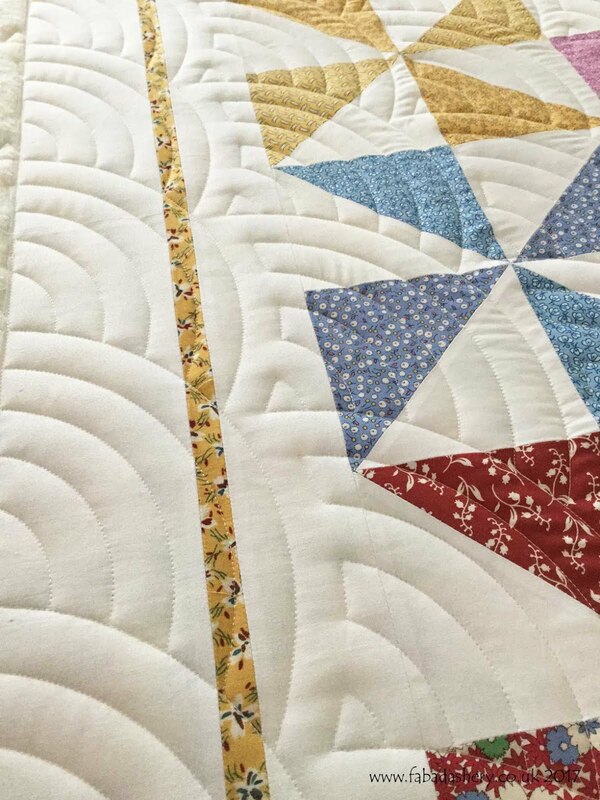 What is the oldest quilt top you have in your cupboard? 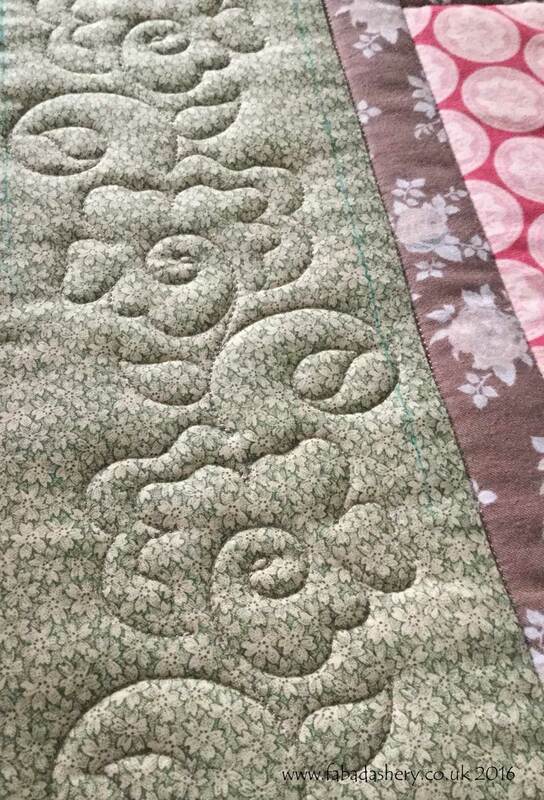 Sue had been carrying this quilt top around from house to house for over 40 years. 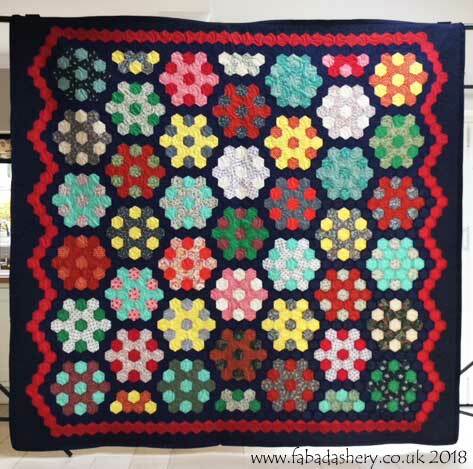 As a 70th birthday present her husband treated her to having it finished. 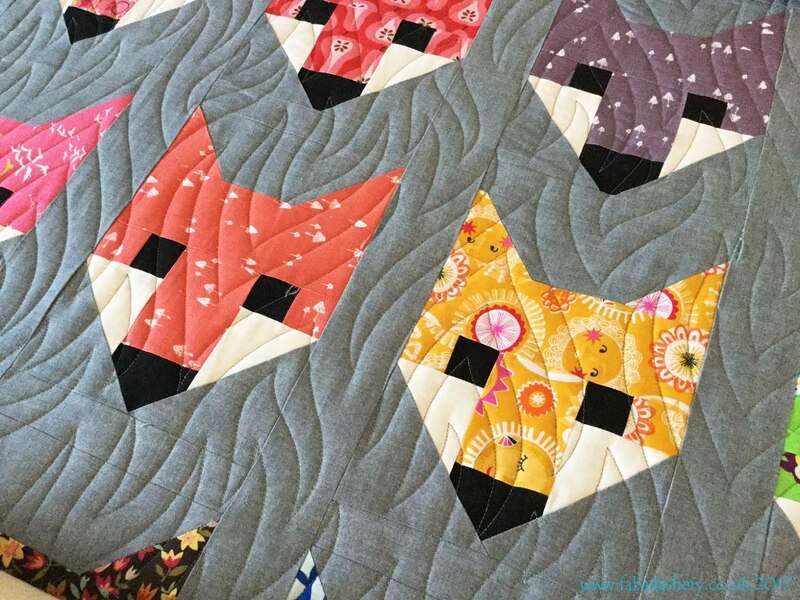 She has made all the hexagon rosettes and put the quilt top together up to the red hexagon border, but had stopped when she had to deal with the irregular edge. 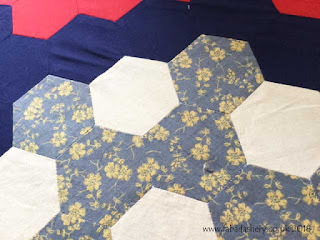 Not only did I quilt it, but I was able to offer a finishing service which included adding the navy border, quilting it and adding the binding. 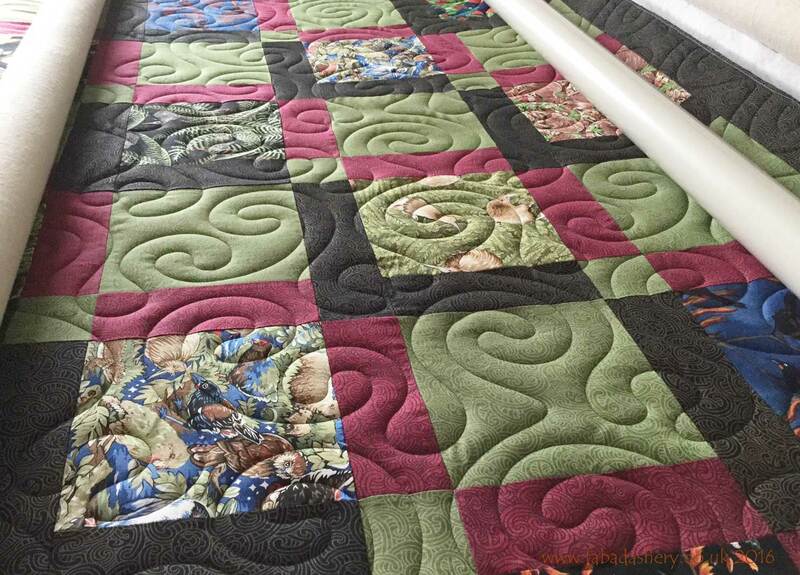 It is hard to think back to the 1970's and realise how different the quilting landscape was in those days. 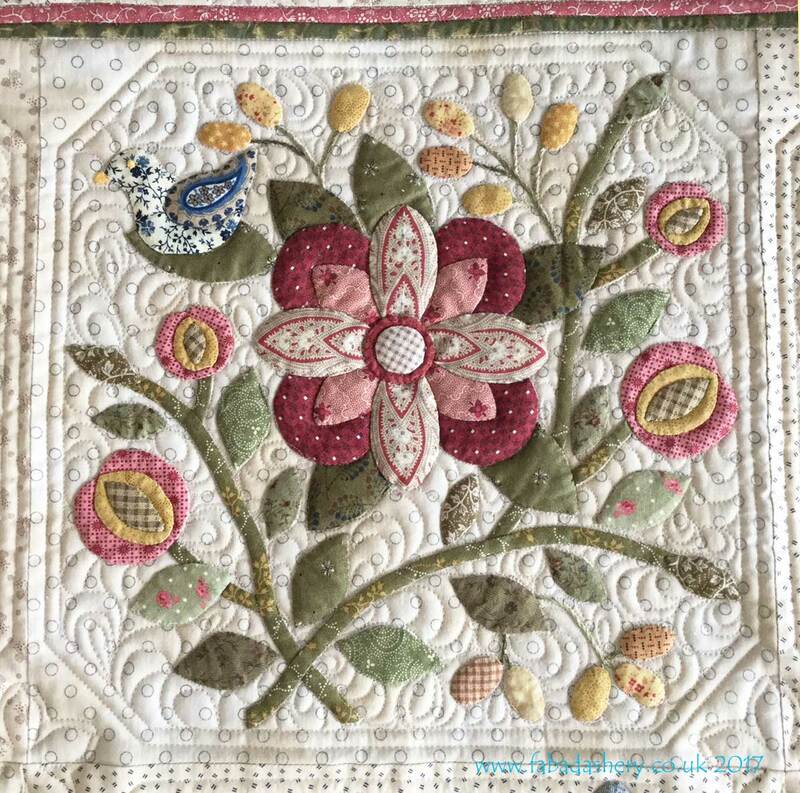 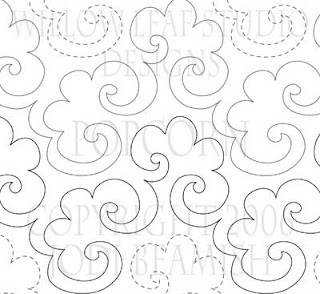 Whilst dress making fabric shops may have been more plentiful, quilting fabric was not as common and as accessible as it is today. 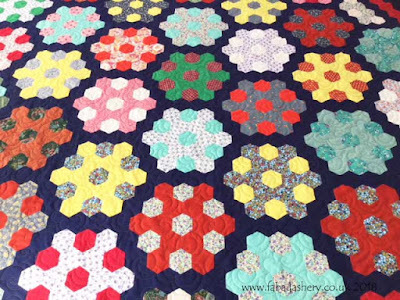 Included in Sue's quilt were some contemporary Laura Ashley fabrics which would now be classed as vintage! 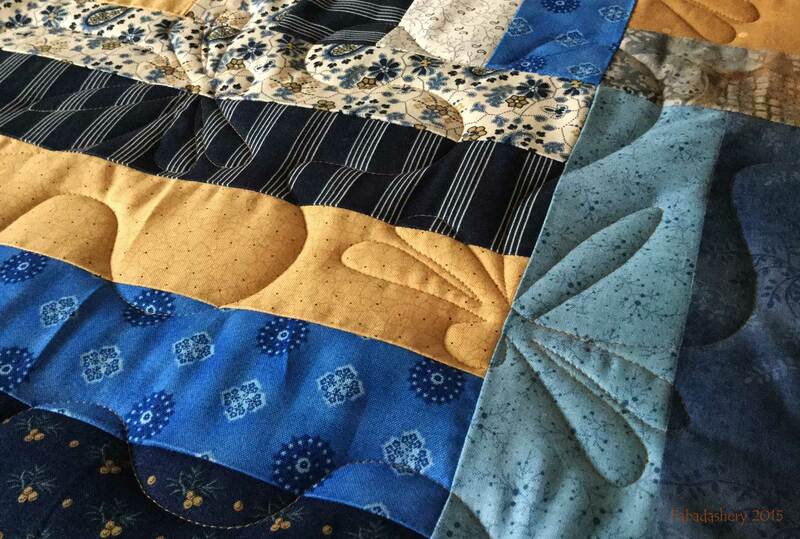 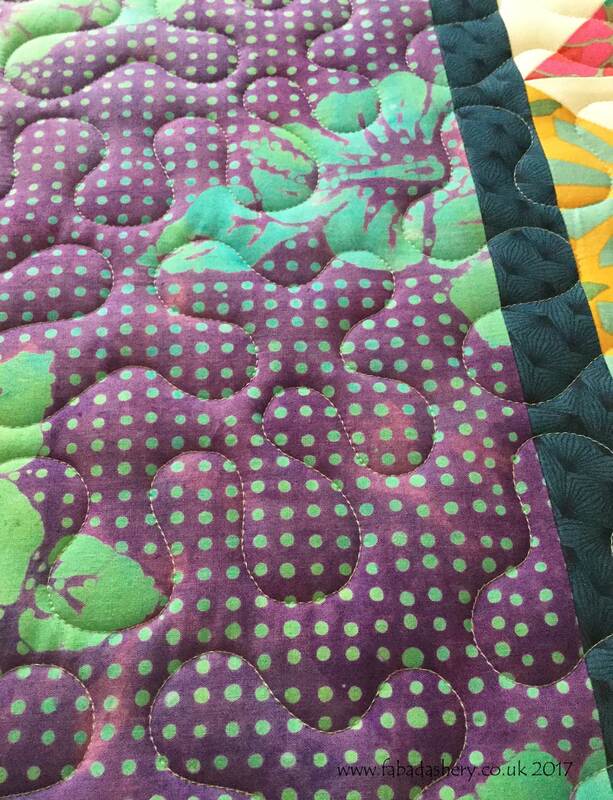 It finished up being quite a large quilt and I used a digital pantograph quilting pattern called 'Popcorn' to quilt it. It was a real pleasure to be able to help Sue finally finish her 1970's hexagon quilt. 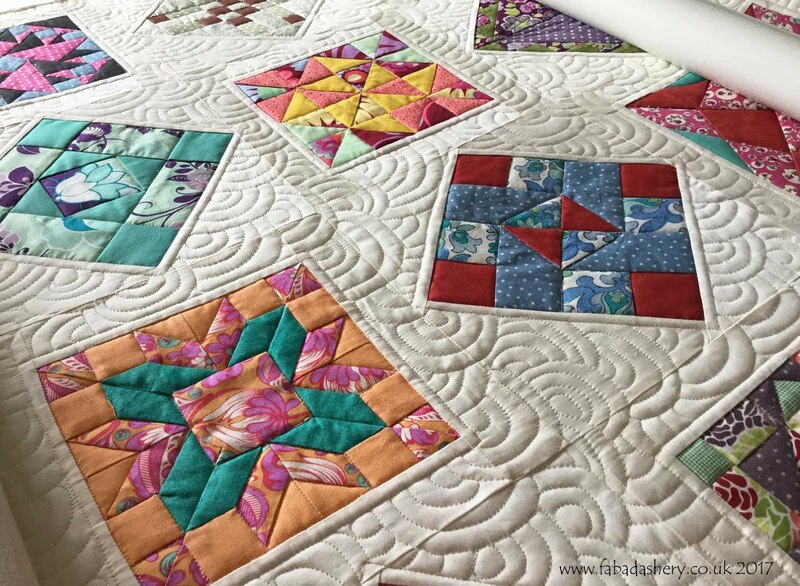 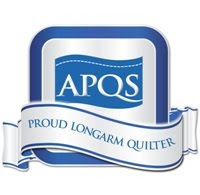 If you have a quilt top lingering in the cupboard that you or a family member has made, please get in touch to see how I can help.